National Company Law Tribunal (NCLT) released a new recruitment notification through its official website nclt.gov.in for the recruitment of 21 (Twenty One) Stenographer Vacancies. Job seekers can apply before 27th November 2017. Qualification: Graduate from a Govt. recognized University / Institute, and having speed in English Shorthand@100 wpm. Selection Process: Selection will be based on Skill test and Interview. How to apply for NCLT Jobs: Applicants can apply through the prescribed application form. Candidates need to send the application form along with the relevant documents to below address on or before 27th November 2017. Address: Shri Anil Kumar, Under Secretary to the Govt. 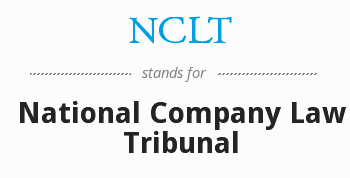 of India, National Company Law Tribunal, Room No. 614, Block No. 3, C.G.O. Complex, Locthi Road, New Delhi – 110 003.